The struggles in Alberta’s energy sector are hurting communities across the province and the country. When you combine these economic factors with the disruption and devastation that the fire of 2016 brought, Fort McMurray is particularly feeling the impact. In a community that has learned to live with economic ups and downs, our resilience is truly being tested. Governments at all levels are trying to find solutions to mitigate the effects of this energy downturn, and the RWMB Council faces unique challenges as our community also seeks to rebuild. In response, the oilsands industry has been working with the RMWB on collaborative initiatives to make our region stronger and keep the oil sands industry competitive. Yet at a time when communities across Alberta are rallying to support the energy industry, in a few days RMWB Council will be voting on implementing policy that will be a roadblock to development and deter capital investment in the oil sands. Mayor Scott has proposed a motion to phase out work camps, ultimately preventing companies from using fly-in fly- out (FIFO) as a means to get the skilled workers they need. This might seem like a quick fix to try to start building population numbers back up but there are strong arguments for why Council should not take this drastic step: with the competitiveness issues industry is facing it is the wrong time to hit industry with added costs. There are better collaborative solutions to continue making Fort McMurray a place people increasingly choose to raise their families because of the quality of life we offer. Over the last decade, FIFO was something our government required industry to invest infrastructure into because housing could not keep up with industry growth and there simply was nowhere else for new workers to live. The oilsands industry, as well as other sectors like health care, retail and municipal administration, have used FIFO as a strategy to ensure they can hire the workers their operations require. FIFO is a necessary component of our industry’s recruitment and retention efforts. However, camps are not only used for operations. There are permanent and temporary camps, used for construction, drilling, scheduled turnaround and maintenance. The considerable driving distance from many work sites to Fort McMurray poses a challenge that is best addressed with flexibility and multiple strategies. 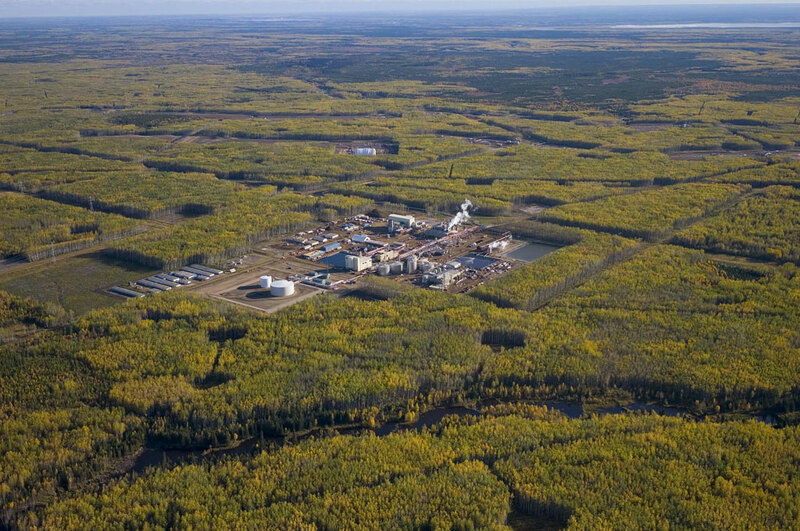 Many operations use 12-hour shifts, and demanding that employees spend 3-4 hours commuting to Fort McMurray daily on top of that is burdensome and impacts employee safety and productivity. Camps cost between $5 and $100 million to operate annually and are run by local contractors, including various partnerships with Indigenous communities. There are benefits these camps and their auxiliary businesses provide to the community: over $16 million in tax revenue to the RMWB; $335 million to local Indigenous businesses; and much needed passenger traffic for the YMM airport. In 2017 rotational workers and business travellers related to the oilsands industry represented roughly 40 percent or 296,000 of 740,000 of annual passenger trips through the YMM airport. Whereas most cities in Alberta struggle with those who reside outside their city limits using facilities and local roads without paying municipal taxes, in the RMWB the benefits of camps far outweigh the costs of servicing new residents. Camps and FIFO also provide a buffer for the community that reduces the social strains from population swings that inevitably come in a resource-based economy. This is true not only in boom times, where the benefits are obvious, but also in downturns. Between 2015 and 2017 camp-based population declined by 30 per cent – a reduction that would have been more acutely felt if the workers had been residents of RMWB. This motion is a drastic measure that comes at a time when the oilsands industry is working closely with the RMWB on creating and implementing a vision for a vibrant, sustainable region. Oilsands operators remain committed to support growing our community by hiring locally and providing transportation between most sites and communities within the RMWB. We know local residents are often the most experienced and dedicated employees; OSCA member companies seek local employees through job postings and other approaches. A quick fix, like this motion, will not achieve the strategic vision for our community nor will it result in a boom in the real estate sector or residential construction or solve small business woes. These are complex issues that need comprehensive solutions. In the last year, OSCA members have provided considerable resources to help the RMWB complete a new population model, a plan on community infrastructure needs, and a 10-year transition plan for the RMWB. These, not heavy-handed legislation, are the keys to planning our future prosperity. The oilsands industry has worked collaboratively on helping RMWB create a community that attracts people to live in the region, and is committed to doing so into our shared future. We should not support this drastic proposal that adds more costs to the oil sands industry for an unclear short-term benefit. Instead, we encourage residents and business owners alike to reach out to discuss why this notice of motion isn’t the right strategy for the RMWB with Council.